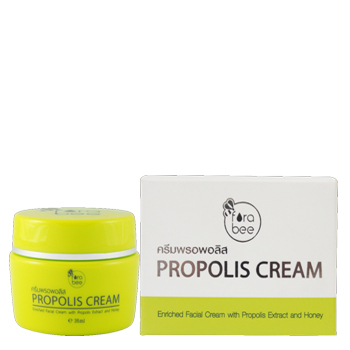 This cream contains a large percentage of bee propolis extract. With its natural properties, this product assists with healing infections, burns, wounds and also works to soften, smooth and improve the texture and condition of your skin. Good for the treatment of acne and blemish. Suitable for all skin types, especially for those with blemished and irritated skin. Apply twice a day to face and throat all over or where needed.